Connected cars, as yet another sign of the advance of digital technologies, face legal challenges especially regarding IT-Security and data protection Law. Focusing on data protection aspects it has to be differentiated between personal data and non-personal data. As personal data is collected while using a connected car the usability of that data collected has to be legally examined on a case by case basis. Due to the principle of specified purpose, which is based on the Data protection Directive and picked up in the new Regulation 2016/679, the use of personal data requires a statutory justification or the consent of the affected person. As data might be used without the explicit permission of the affected person, the only way to justify the use of personal data is a statuary justification under data protection law. In this context, the concepts of anonymization and pseudonymization, also laid down in the Regulation 2016/679, come into play since those forms of using (personal) data are not (in case of anonymization) or less (in case of pseudonymization) invasive. In particular the use of pseudonymized data can be justified more easily. Therefore, the fall back on those concepts might be an answer to the data protection issues regarding connected cars. 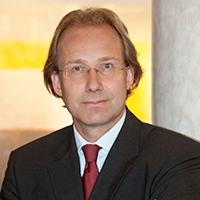 Prof. Dr Peter Bräutigam is a certified specialist in IT law in Munich and a partner. He is Coordinating Partner in charge of Noerrs Commercial division and a member of the IT, Outsourcing & Data Privacy Practice Group. He advises clients on all aspects of IT law and digitalisation/Industry 4.0 with a focus on the following topics: software development and maintenance agreements, framework and project agreements, outsourcing and service level agreements, cloud computing, data protection, rights to data, cyber-security, liability issues, (software) licensing law matters, networking and problems in the field of IP. In addition to his many years of practical experience, he regularly issues publications and gives talks on current topics in digitalisation and IT law. He co-edits the study and legal opinion paper Digitalisation/Industry 4.0 published in conjunction with the industry association BDI as well as the legal handbooks IT-Outsourcing und Cloud-Computing (3rd edition) and E-Commerce (to be published in summer 2016). He is also a member of the editorial board of Computer und Recht (CR) magazine, a co-editor of the legal journal NJW and honorary professor at the University of Passau. In addition to his involvement in various associations (including as Deputy Chairman of the German Association of Law and Informatics and as Vice Chair of the Cyber Crime Committee of the International Technology Law Association), Bräutigam is on the management committee of the IT law taskforce of the German Lawyers Association as well as Chairman of the advisory board of the Data Protection Foundation. Recommended as a leading IT lawyer by Best Lawyers, Chambers & Partners, Expert Guides, JUVE and Legal 500. Recommended as a leading IT and outsourcing lawyer by Best Lawyers, Chambers Europe, Best of the Best (Euromoney/Expert Guides), JUVE Handbuch, Legal 500 and Whos Who Legal. Voted Global Internet & e-Commerce Lawyer of the Year at the Whos Who Legal Awards 2013 and TMT-IT Lawyer of the Year at the Whos Who Legal Awards 2016.